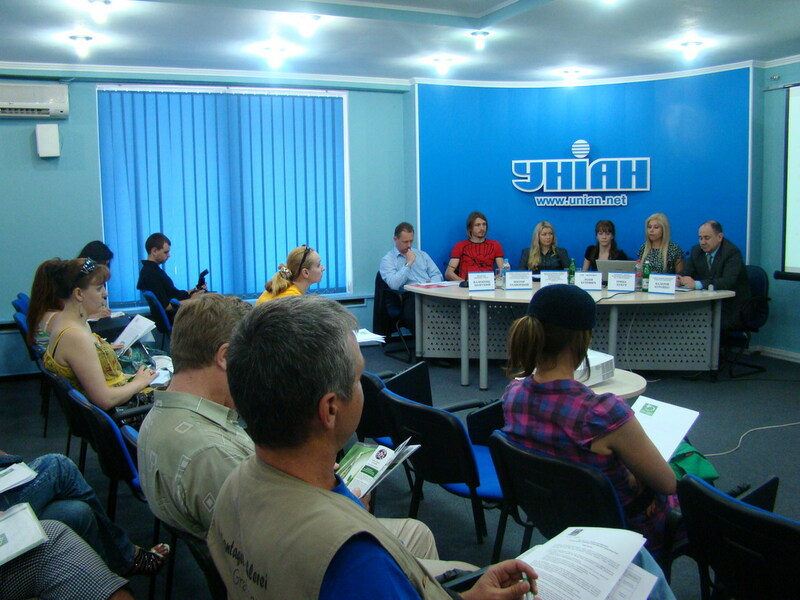 On June 8 Publicity Creating organized a round table for the Ukrainian producer of elite natural cosmetics. On June 8 Publicity Creating organized a round table for the Ukrainian producer of elite natural cosmetics. This event was held at the press centre of UNIAN news agency with participation of experts in the area of medical cosmetology, medicine, and the representative of centre of independent consumer expertises "TEST". During the round table participants discussed trends at the market of natural cosmetics in Ukraine and opportunities of producing the high quality and competitive cosmetic products in our country. In particular, the conversation was about growing consumption of natural organic products in Ukraine, which meets European and world trends. Only in 2009, the Ukrainian market of organic products increased in 2 times. However, Ukrainian natural products occupy only 10% of the market, and the remaining 90% - are foreign goods. Experts agreed on the opinion that Ukraine has everything necessary for the production of high quality natural cosmetics. These products, based on natural components (such as vegetable oils that are grown in Ukraine), best suited for Ukrainian consumers and indeed include a healthy "live" components that respond the genetic characteristics of the nation. “TM Iren Bukur - an unique phenomenon at the Ukrainian cosmetics market. It worthy compete with known world brands – not yield to them in quality. Efficiency of those cosmetics was confirmed by clinical trials. Our mission - to inform about competitive advantages of this Ukrainian TM to domestic consumers, favour saturation of the information field positive facts"- said Publicity Creating General Director Valeriy Kureiko.